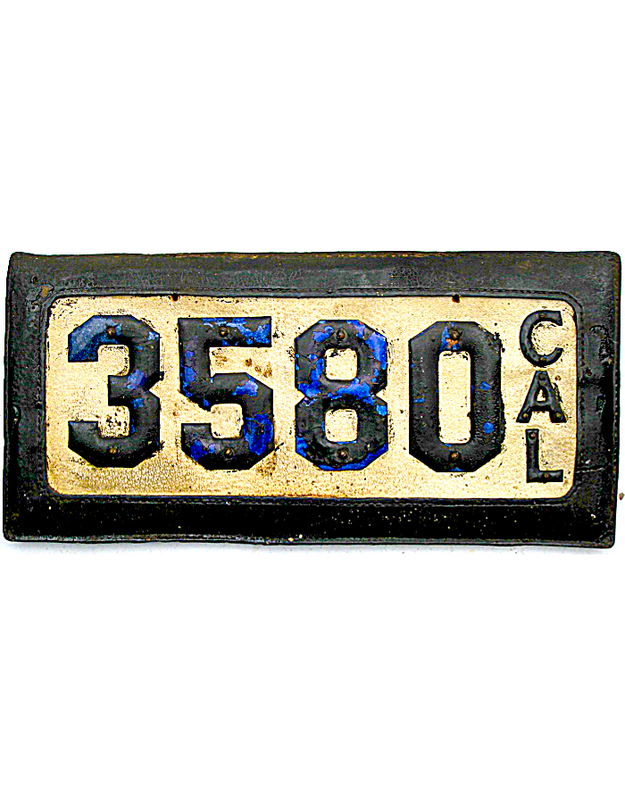 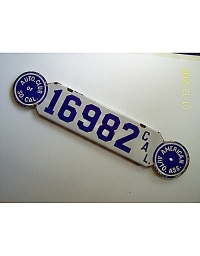 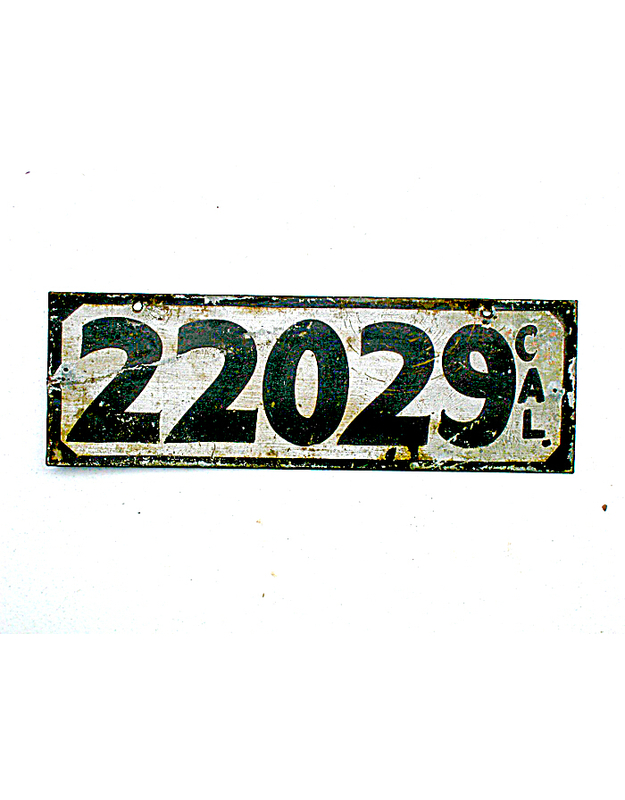 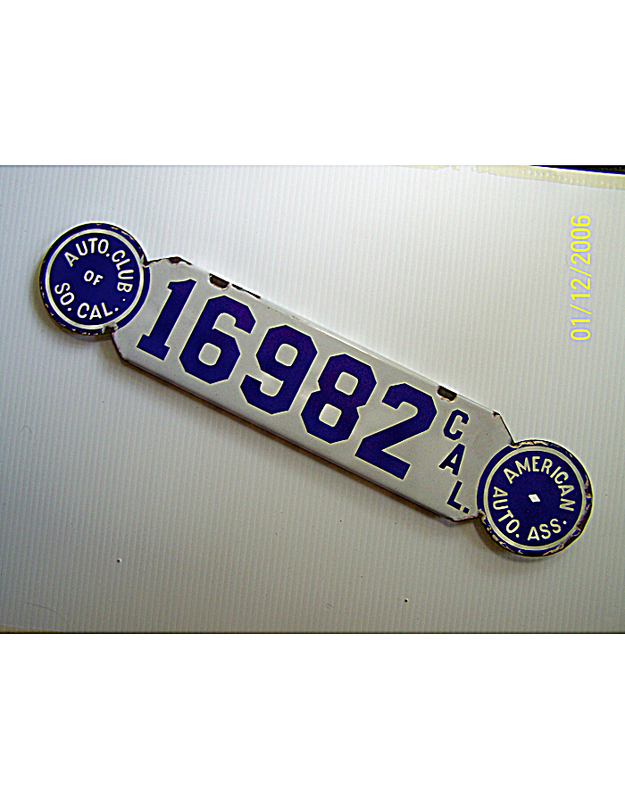 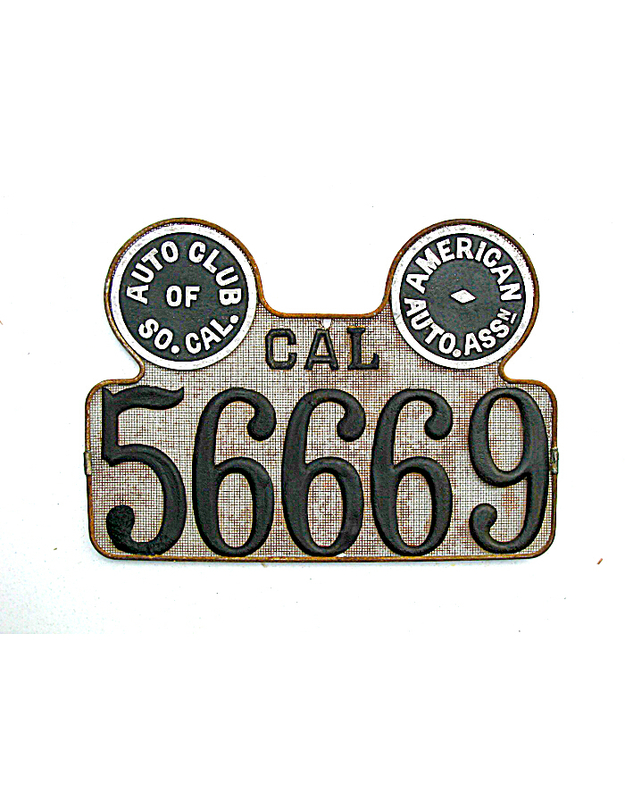 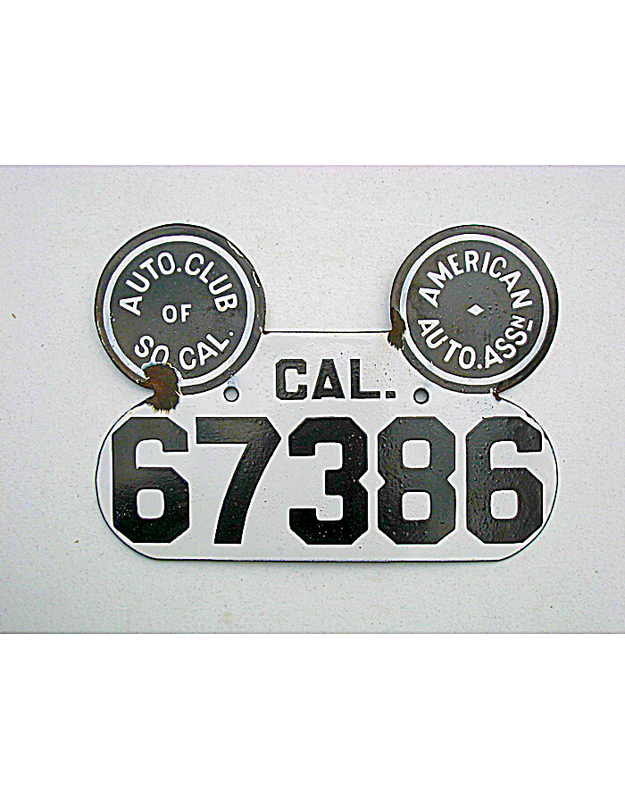 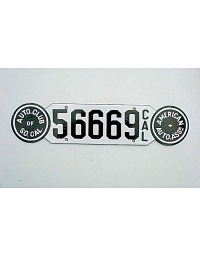 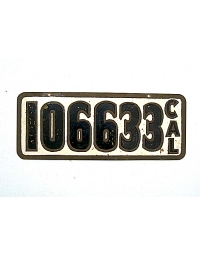 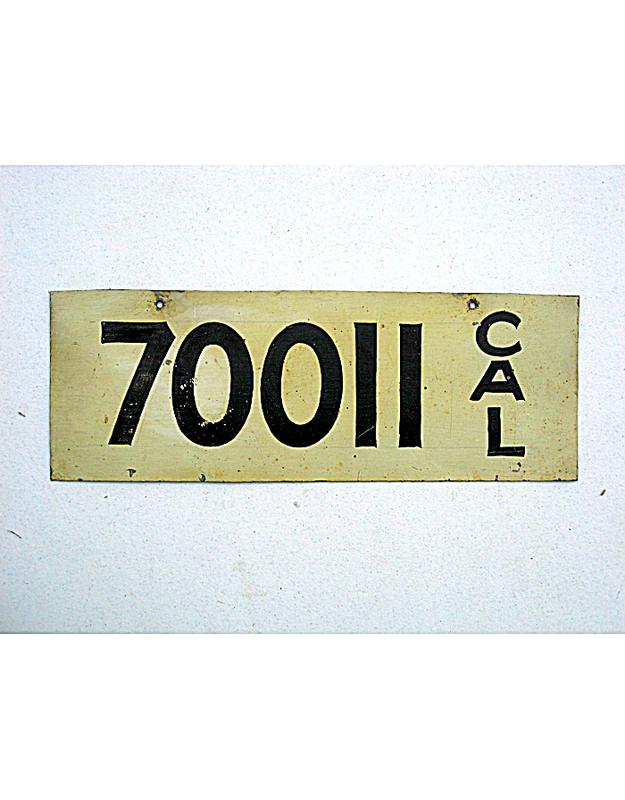 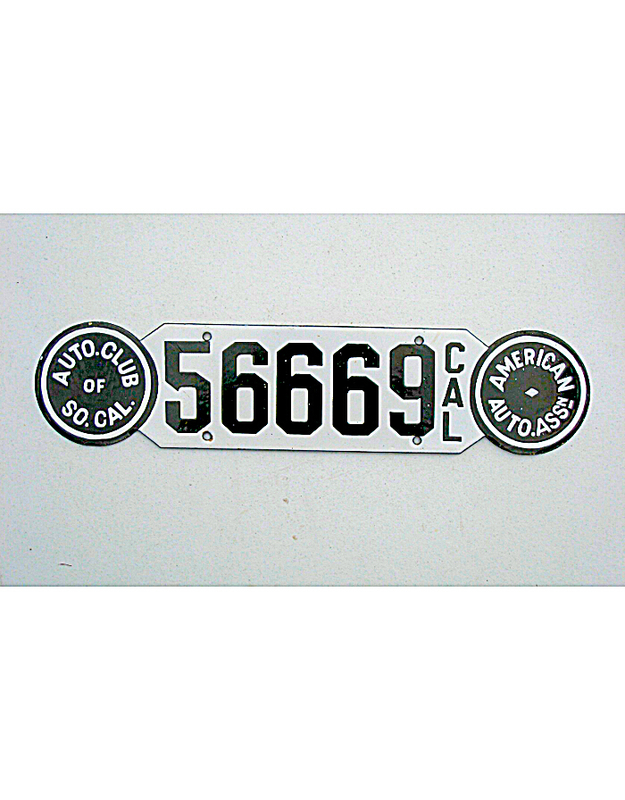 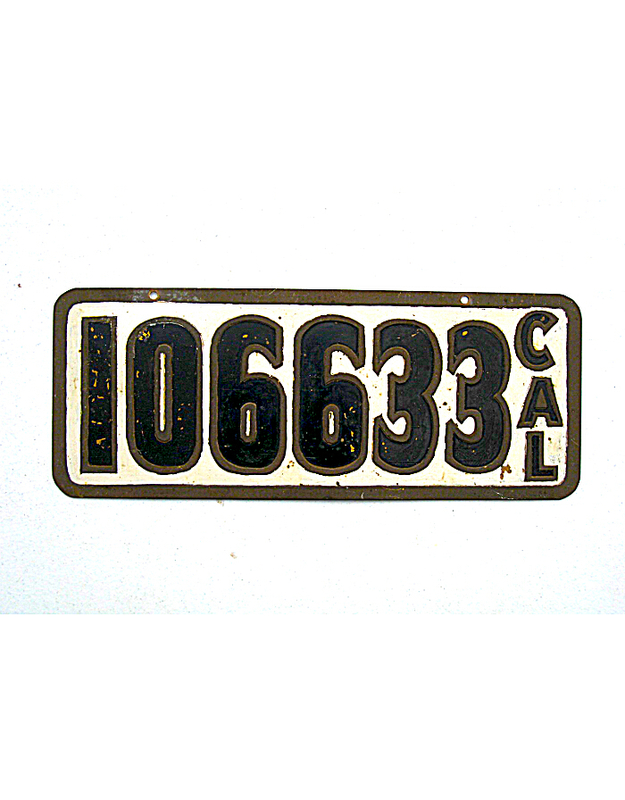 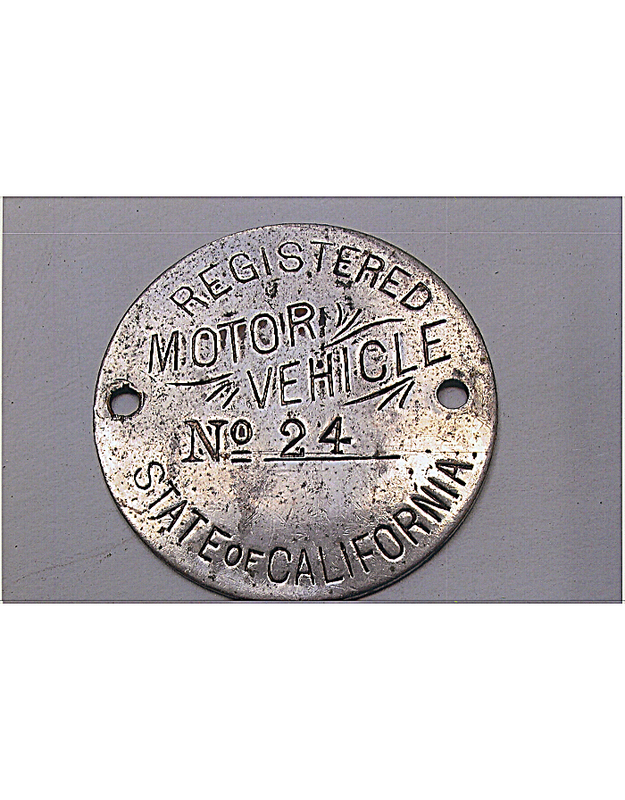 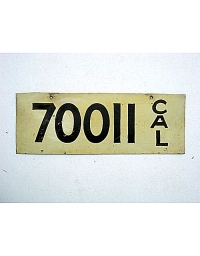 Only one California city – Oakland – is known to have used locally-issued automobile license plates in the 1901-’10 era, these being a small dashboard disc. 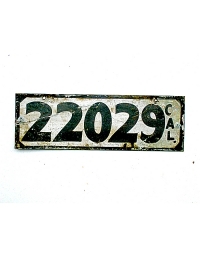 No city numbers were required to be displayed on the automobile. 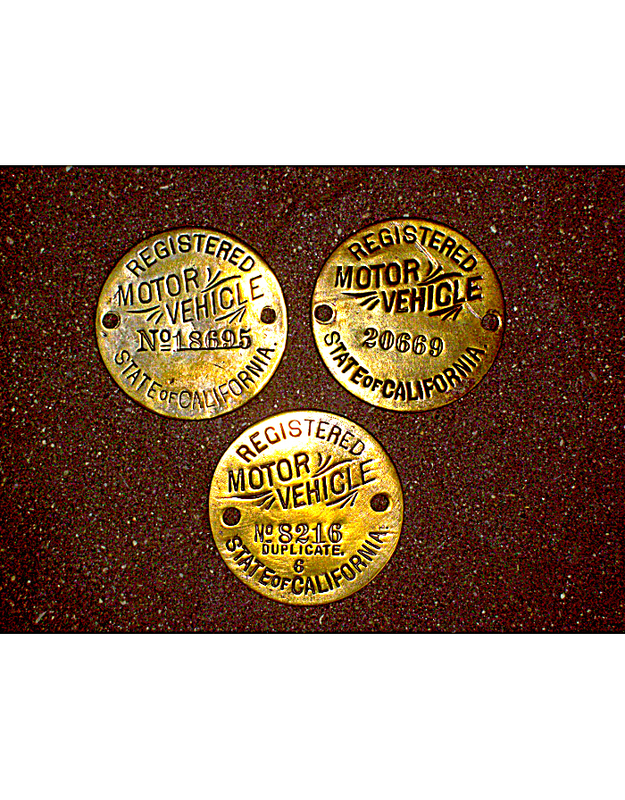 Local plates and discs do exist for other cities for motorcycles, vendor carts and certain other types of non-motorized “vehicles”. 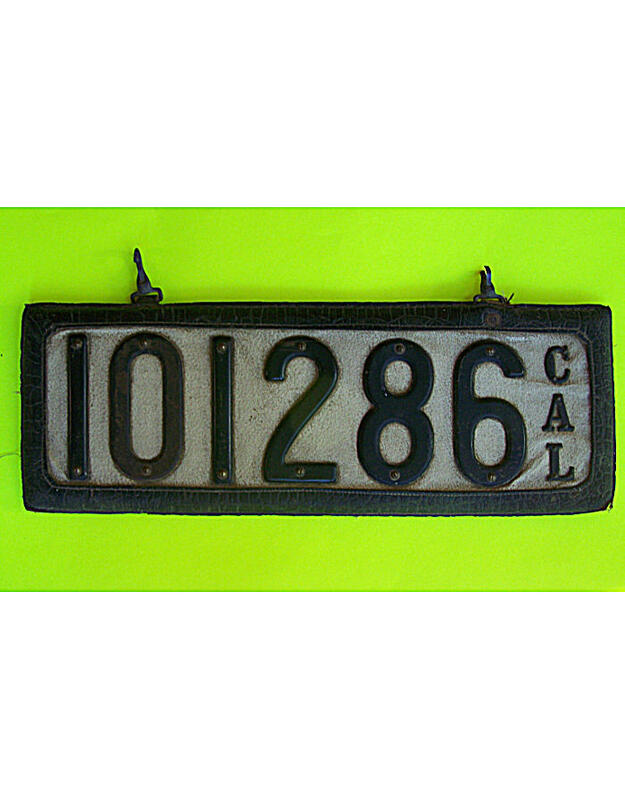 California began licensing automobiles on the state level in 1905, but did not issue an official license plate until 1914. 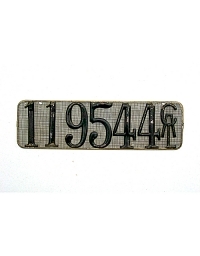 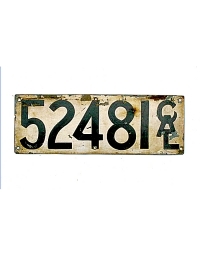 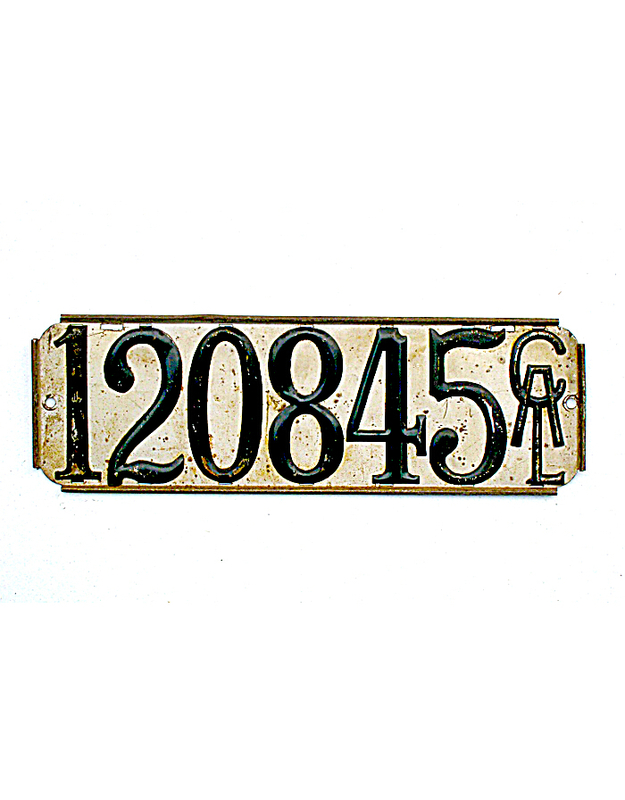 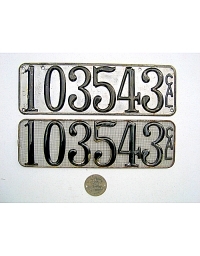 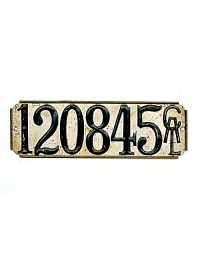 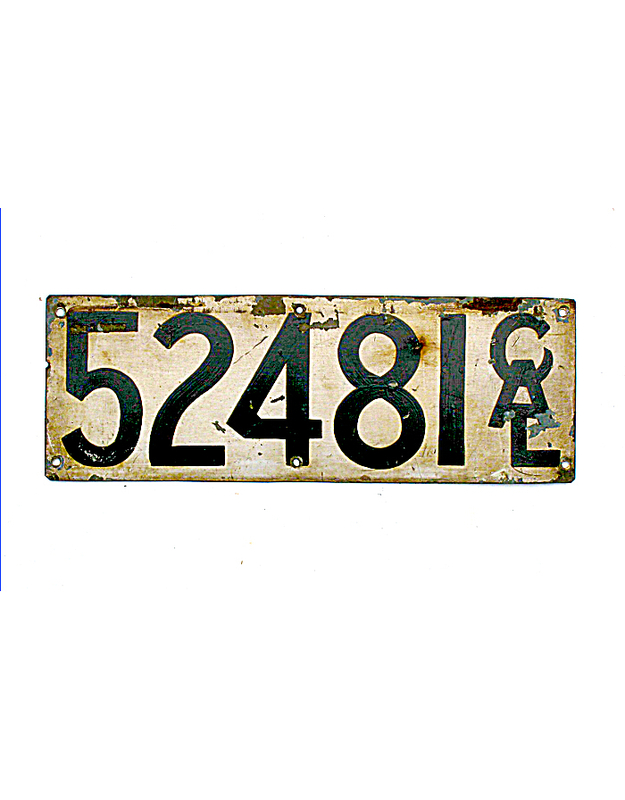 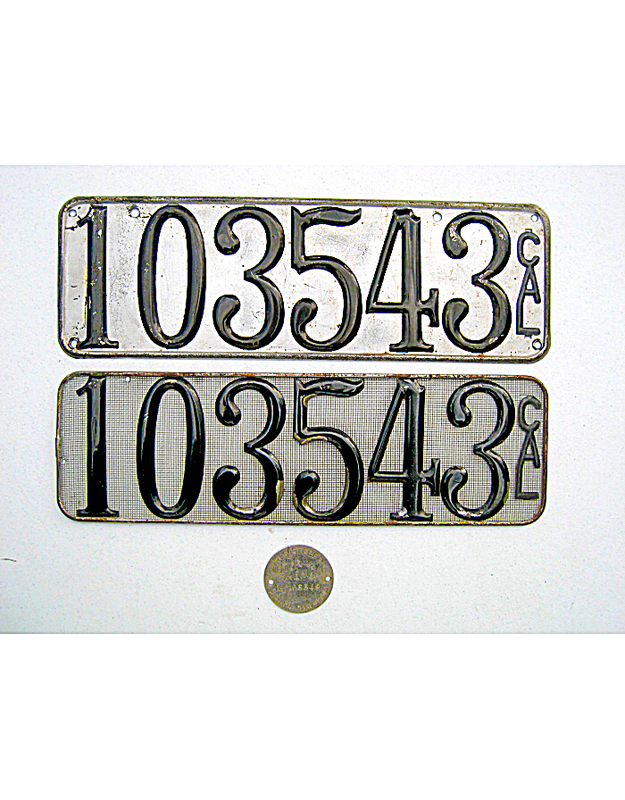 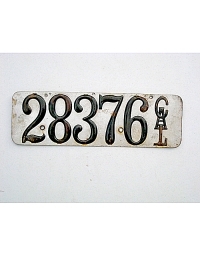 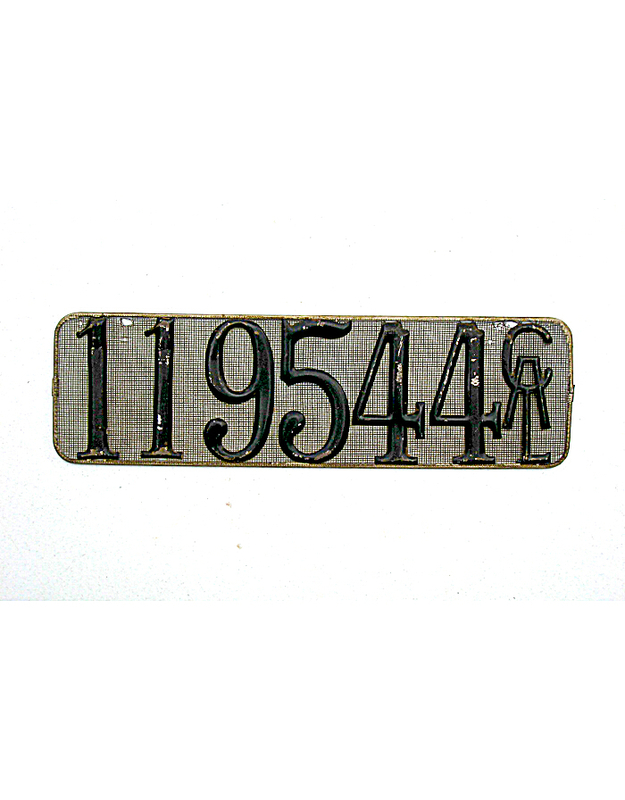 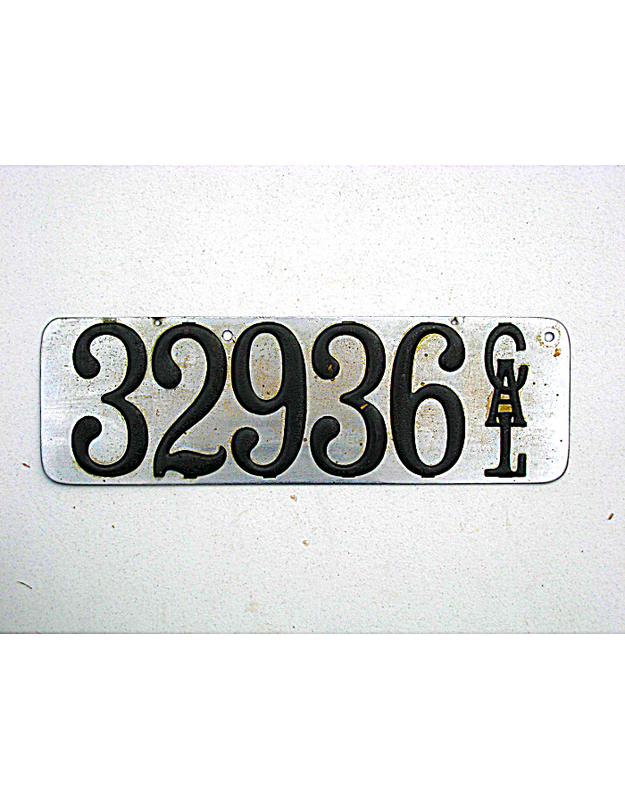 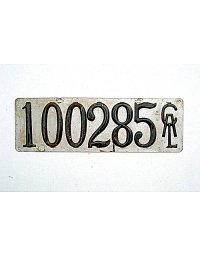 Through the end of 1913, motorists were required to produce their own pre-state license plates in pairs, using the serial number given on a circular engraved brass “dashboard disc” provided by the state. 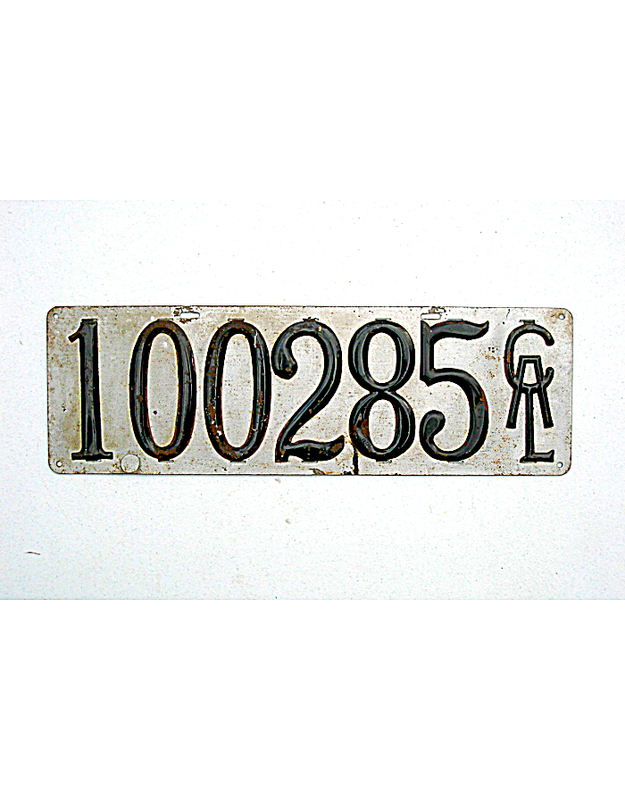 Registration numbers climbed to almost 125,000 resulting in over 250,000 individual license plates being produced over a span of 8 years. 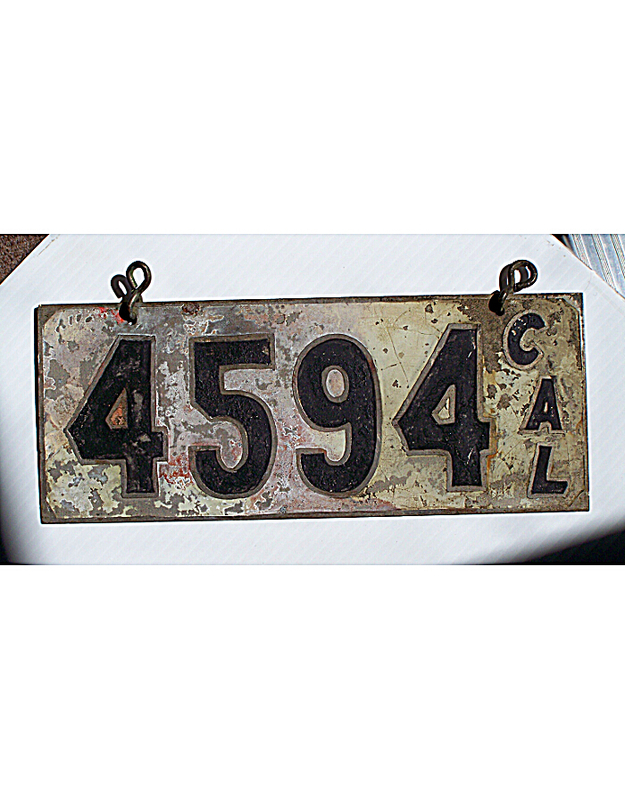 All licenses were required to carry the state initials CAL. 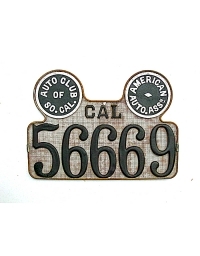 There are probably more varieties, types, sizes and colors of California pre-states than from any other state in the nation, suggesting that the legendary “car culture” of California goes way back to the beginning! Fancy, well designed and high-style California plates are so prolific that it is not possible to catalogue them all. 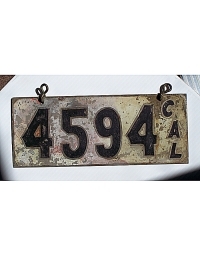 The photos above illustrate some of the variety. 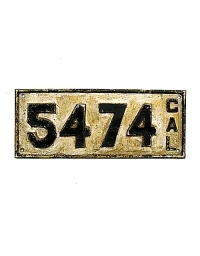 California pre-states can differ substantially from one region of the state to another, with San Francisco and Los Angeles each having a distinct regional style. 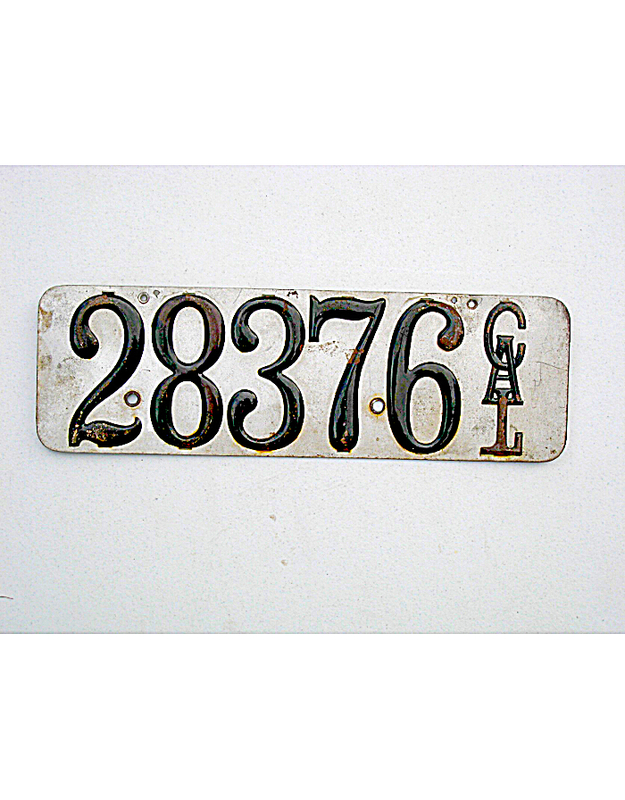 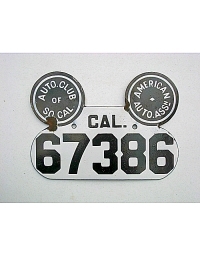 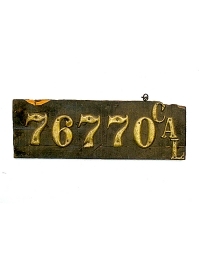 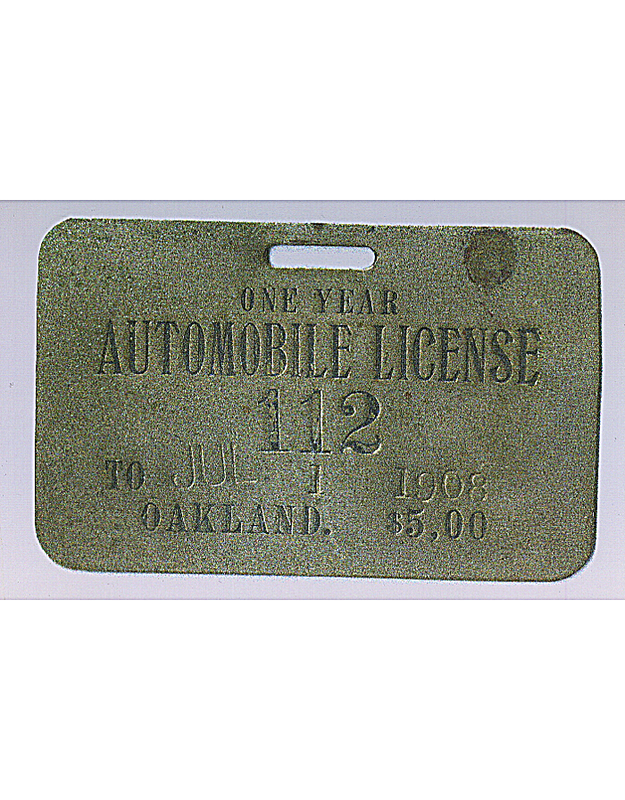 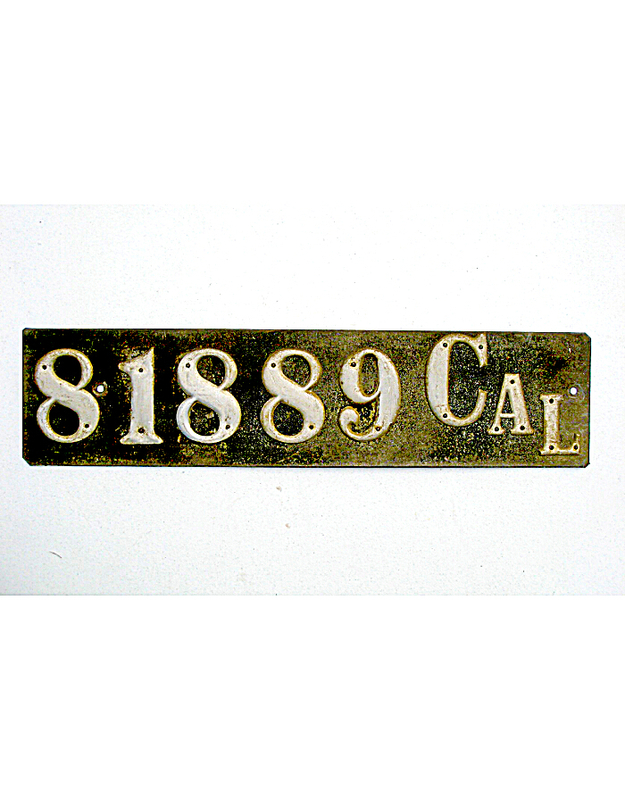 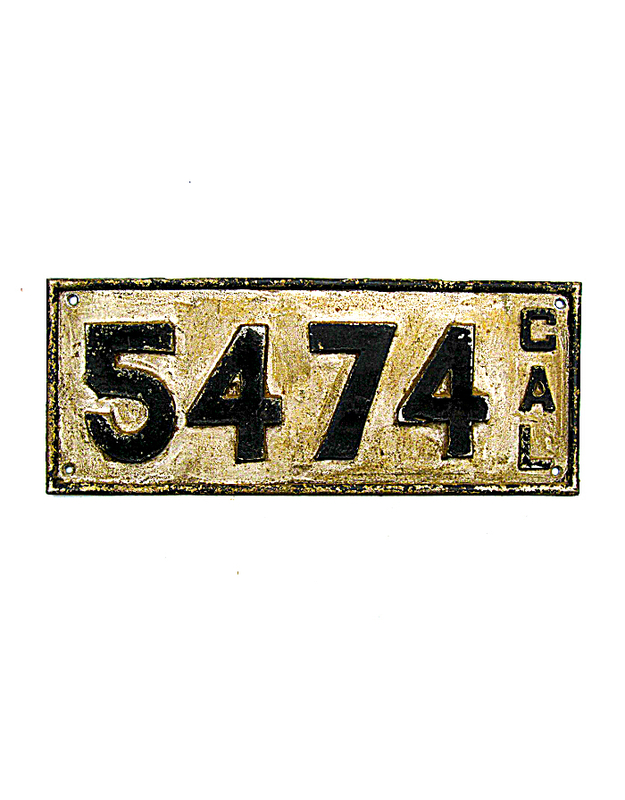 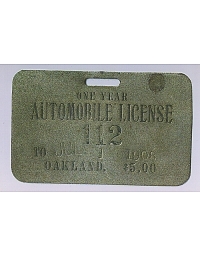 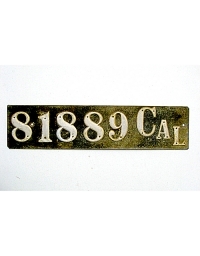 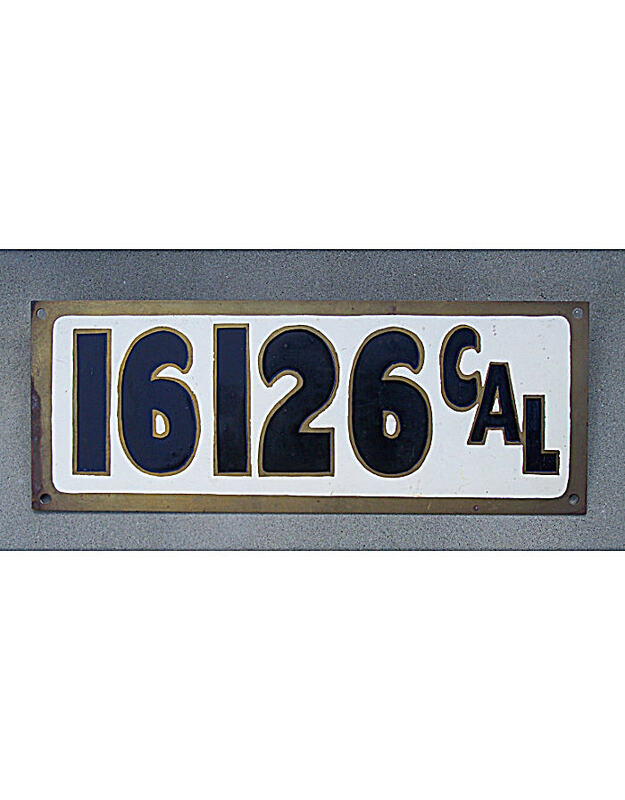 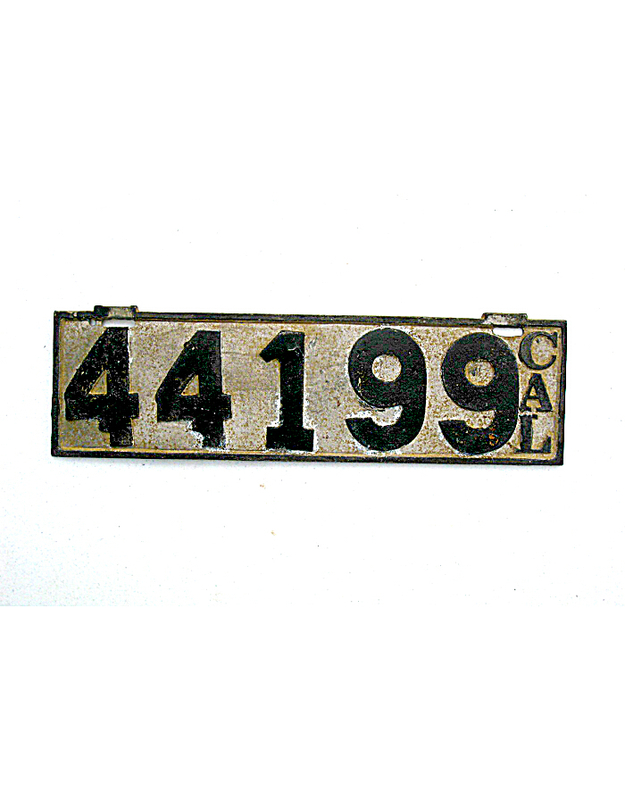 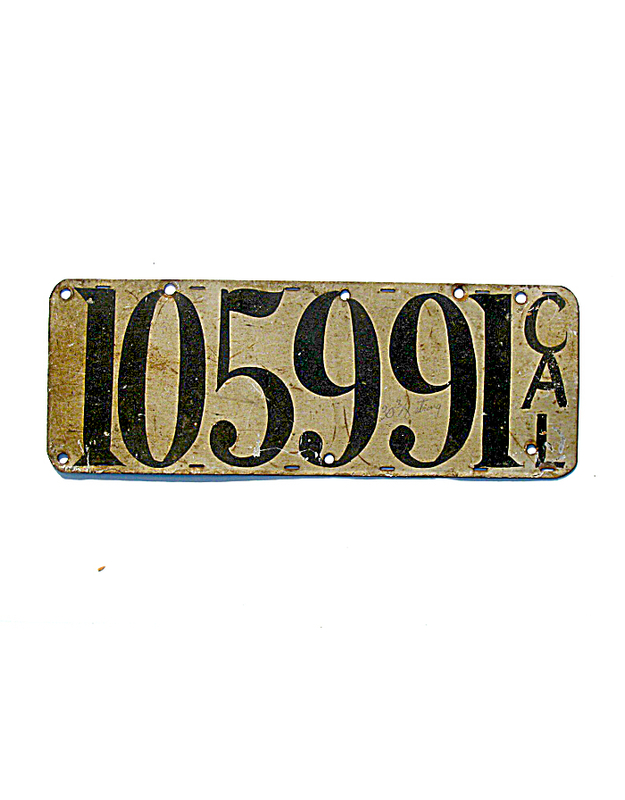 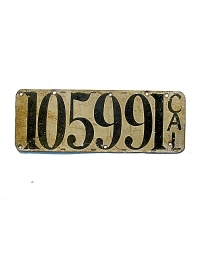 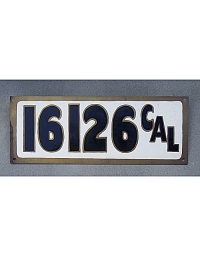 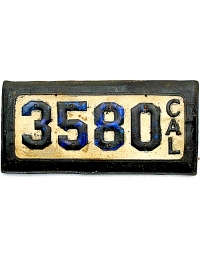 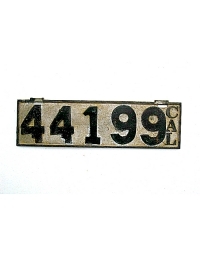 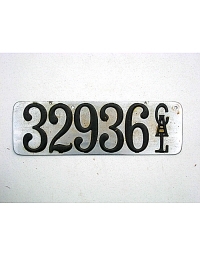 In the former city, many owners contracted with the Moise Klinkner Company or others to produce engraved brass tags, while in L.A. the Auto Club of Southern California offered optional license plates to its members made of porcelain, metal, and screen wire (to allow air to pass through the radiators). 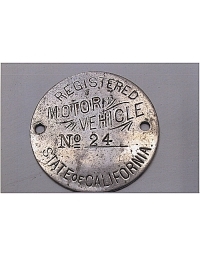 Examples are shown on these pages.